If you’re looking for an auto repair shop in Oconomowoc, Hartland, or Brookfield, WI that’s comfortable, reliable and convenient, look no further than the automotive experts at Silver Lake Auto & Tire Centers! With three quality locations, Silver Lake Auto & Tire Centers has been helping drivers in Hartland, Oconomowoc, Brookfield, and the surrounding communities with all of their auto repair, maintenance services, emissions testing, tire services, hybrid repair, diesel repair, towing and more since 1973. Each member of our talented auto service team, from our highly experienced ASE Certified Mechanics to our friendly and knowledgeable service advisors, are completely dedicated to making your car repair experience with us easy and enjoyable. Our expert technicians utilize the latest technology to properly service, repair and maintain all makes and models of domestic and import cars, pickup trucks, SUVs, minivans, crossovers, hybrids and diesel vehicles. We have a spacious, relaxing waiting room, complete with warm, freshly baked cookies, comfortable couches, high definition TVs and a free Wi-Fi Internet bar. Smart drivers like you know that tires are important to the safety of your family. Let us help you find great tires at a great price. Your time is precious. Don’t waste your weekend waiting for your car to be serviced. SLAC Concierge Service makes it convenient and easy. Convenience is key! We know that bringing your automobile in for car repair or maintenance services probably isn’t your favorite thing to do. But that just makes us work that much harder to make your time with us great! We offer easy, online appointment scheduling, have financing options and after-hours vehicle drop-off available, and offer eight courtesy vehicles for you to use while your vehicle is being serviced. Plus, we guarantee our automotive repair services with an industry-leading 3 year/36,000 mile warranty! If you’d like, we can even email or text you picture and video updates of your vehicle’s service status, so you know what to expect all along the way. At Silver Lake Auto & Tire Centers, our number one goal each day is to make sure every one of our customers is completely satisfied. 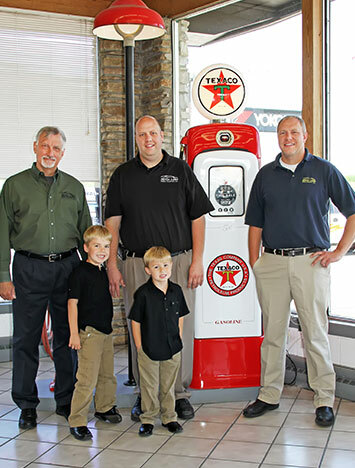 We are proud of our reputation as one of the most trustworthy auto repair shops in Hartland and Oconomowoc, and are honored to have received countless 5-star reviews and customer testimonials. We invite you to stop by, give us a call or easily schedule your appointment online today and let our talented team take complete care of your and your motor vehicle! Don’t worry about being without your car while it is in the shop. For your convenicence, we have 10 loaner cars for customer use to keep you on the road!